If you want your spouse or your teenage son or daughter to run the trash outside, you can’t just assume they’ll do it; generally speaking, you have to ask them. And in much the same way, if you want visitors to your dealership website to take a certain action, you can’t just hope for the best. You’ve got to spell it out. You’ve got to tell them what you want them to do. This is what’s known as the call to action (CTA)—a brief invitation for your website user to take the next step. Most CTAs are just a sentence or two long—a brief, action-oriented piece of text that nevertheless has tremendous impact on the efficacy of your website. If your website isn’t getting the conversions you’d like it to, one explanation is that your CTAs aren’t clicking. Here are a few ways you can make them better. Your CTAs should reflect the overall goal of your website—so what is that goal? Do you want visitors to call you to set up an appointment? To sign up for your email list? To simply come down and visit your showroom? Make sure you know what you’re trying to achieve, and point all your CTAs toward that singular goal. 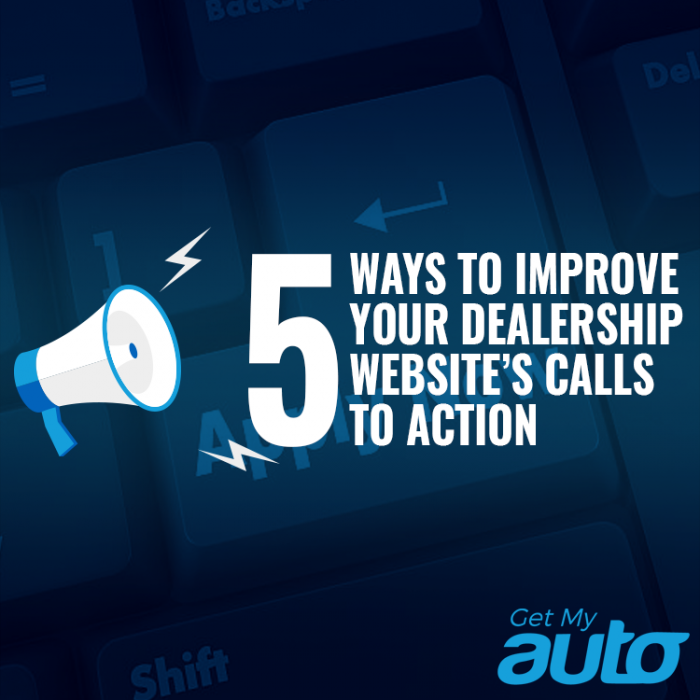 A common mistake is including just one single call to action on the dealership home page. Actually, a call to action belongs on every page of content. No matter where visitors end up, make sure they know what action steps you’d like them to take. Another recommendation? Don’t relegate CTAs to the very bottom of your website. Place them somewhere more prominently in the center of your page. And make sure they stand out! Find CTA buttons that have appealing colors and fonts. The CTA should be a striking design element, not merely text that blends in with the rest of your website. It’s important to keep CTAs brief, but also to provide them with some context. Why should users take the action you’re saying? What’s in it for them? Spell out the value proposition you offer. Call us today isn’t nearly as effective as Call us today for help finding your dream car—at an unbeatable price! Finally, always be willing to experiment, to measure results, and to hone your CTA messaging. A/B testing will allow you to explore different colors, fonts, and word choices, and to determine which CTA variant works best for your dealership. All of these simple steps can make your dealership’s CTAs more effective—but of course, that’s just one part of your digital strategy. 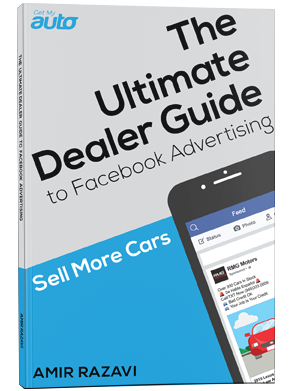 To learn more about effectively growing your dealership, reach out to the marketing experts at Get My Auto today.